My working life prior to establishing Elmbank Coaching was in Blue Chip Pharmaceuticals. I became a professional coach after 25+ years in pharmaceutical research and development. Becoming a coach and coach supervisior was a logical extension of my leadership style and approach. As I explored coaching further, became professionally certificated and accredited, and gained experience coaching others and being coached myself, coaching has become more than a new skill; it has become a way of being. My coaching is informed by curiosity, enquiry and industrial and leadership experience and you will find my coaching to be supportive, challenging and professional. I set up Elmbank Coaching Ltd. as an independent coaching practice to further enable my passion for coaching and supporting others to grow and develop into their best selves. I want to work with clients who are motiovated and ready to make changes in their lives that enable them to be and to perform at their best more often. My last role before leaving GlaxoSmithKline was coach and facilitator within GSK’s Coaching Centre of Excellence. As Director of Coaching I was responsible for the global internal coaching programme delivering 1,000 coaching assignments annually, to individuals across GSK, through 465 internal "Job Plus" Coaches. I coached individuals and groups, trained internal coaches, facilitated coaching workshops for leaders and supervisors and consulted on coaching strategy and implementation with HR and business leaders. 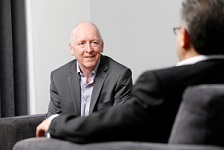 My experiences in the Coaching CoE shaping and delivering a coaching strategy to reach 100,000 employees gives me a first hand insight to the world of Coaching and Internal Coaching in particular. My background is in science – I have a PhD in biochemistry and molecular biology and worked for several years as a laboratory researcher, then project leader, external collaborations manager and then director and department head leading teams in the UK, US and India. I have worked with colleagues across the global GSK organisation and managed science projects, external collaborations, change initiatives and outsourcing projects. I have experienced mergers and reorganisations and made career decisions through my working life to date. I am based in Hertfordshire, within easy access of London. 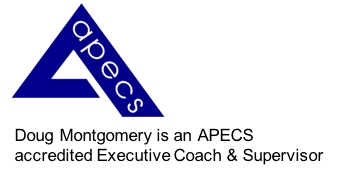 I am an accredited Executive Coach and an accredited Coaching Supervisor member of the Association of Professional Executive Coaches and Supervisors (APECS). I hold a Professional Certified Coach (PCC) credential with the International Coaching Federation (ICF). I am an Institute of Leadership and Management (ILM) accredited Trainer for the ILM Level 5 Certificate of Coaching and Mentoring. 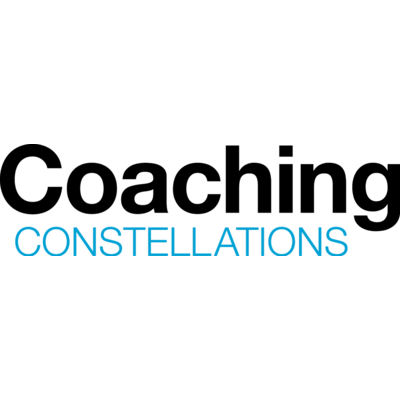 Fundamentals part 1 in Systemic Coaching and Constellations with Coaching Constellations Ltd.
Certified Golf Mind Factor Coach trained by Dr Karl Morris.